UP MS Szigeti út 12. 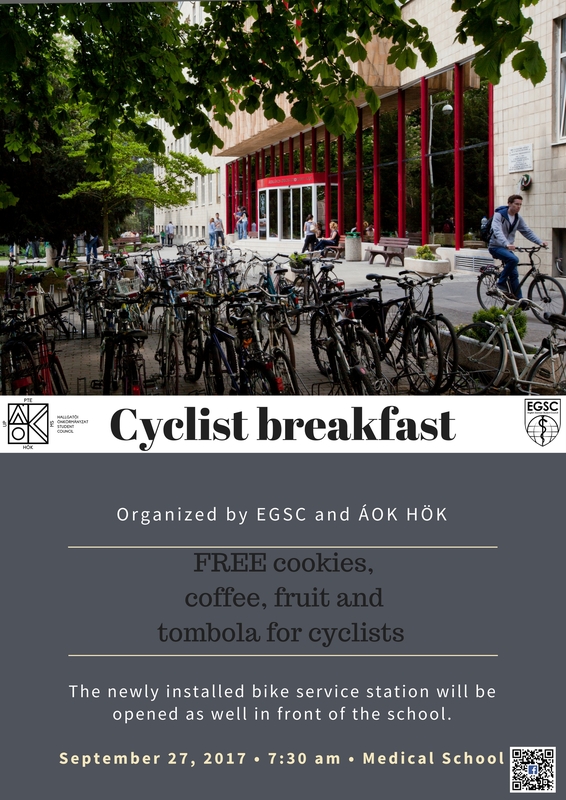 We cordially invite all UP MS students to join us for Cyclists’ Breakfast organized by EGSC and ÁOK HÖK. Join us for a breakfast! The first 200 cyclists will receive a gift pack and three lucky students will win a helmet, raffled via tombola. The newly installed bike service station will be opened as well in front of the school.